The CNCF and Alibaba Cloud have jointly launched a new technology course to provide developers with insights into the future of cloud native. In this article, we will be describing Sigma, Alibaba's container scheduling system, and learning how to apply SwarmRL to scheduling policy optimization. This article discusses the benefits of using message queueing in the finance industry and the advantages of RocketMQ over other MQ models. Today Cloud Native Computing Foundation( CNCF ) announces: cloud native image distribution system Dragonfly joins CNCF as a sandbox level project. 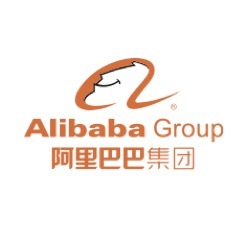 Alibaba Cloud joins the Open Container Initiative (OCI) to help drive global container standardization. This article describes how PouchContainer establishes a network and connects containers to the network, as well as analyzes the source code for a full explanation of the network connection. How Does a PouchContainer Volume Work? This article describes the inner-workings of PouchContainer volumes, which are designed to address the data persistence issue of PouchContainer. This article introduces the Container Network Model (CNM) and describes how the PouchContainer uses Libnetwork to build a CNM network. This article analyzes the reasons for introducing the non-blocking log buffer and illustrates the practices of the non-blocking log buffer in Golang. This article discusses the rationale for Container Runtime Interface (CRI) and its architecture, with a focus on the implementation of PouchContainer's core functional modules.